Northwest Iowa — This week is National Public Safety Telecommunicators Week. The week, sponsored by the Association of Public-Safety Communications Officials (APCO) International and celebrated annually, honors the thousands of men and women who respond to emergency calls, dispatch emergency professionals and equipment, and render life-saving assistance to the world’s citizens. Lyon County Sheriff Stewart Vander Stoep tells us their dispatchers are their front line. Vander Stoep says the dispatchers deserve a lot of credit and thanks from the community. The sheriff says that while the job of a deputy is stressful too, they at least get to go to the scene and see everything that happens. And he says that sometimes gives them closure, which the dispatchers don’t always get a chance to experience. He says we all owe a lot to the 911 operators and dispatchers in northwest Iowa. For more information, you can visit www.npstw.org. For more information on Lyon County Dispatch in particular, you can visit lyoncosheriff.com/dispatch. Photo caption: Two young people watch Lyon County Dispatcher Sandy Wissink work during a recent tour of the Lyon County Law Enforcement Center. Rock Rapids, Iowa — A Baltic, South Dakota man is behind bars in Rock Rapids after a report of a suspicious vehicle and a slow-speed pursuit. Interference with Official Acts Causing Bodily Injury, Possession of a Controlled Substance-Methamphetamine, and Possession of a Controlled Substance-Other Schedule IV. He was also charged with simple misdemeanors counts of Possession of Drug Paraphernalia, Interference With Official Acts, Violation of Financial Liability Coverage, Failure to Carry Registration Card, Failure to Display Registration Plate, and Failure to Yield to an Emergency Vehicle. They tell us they booked Keith into the Lyon County Jail, where at last report, he remained. The sheriff’s office reports that Trackside Towing assisted them and that more charges are pending. 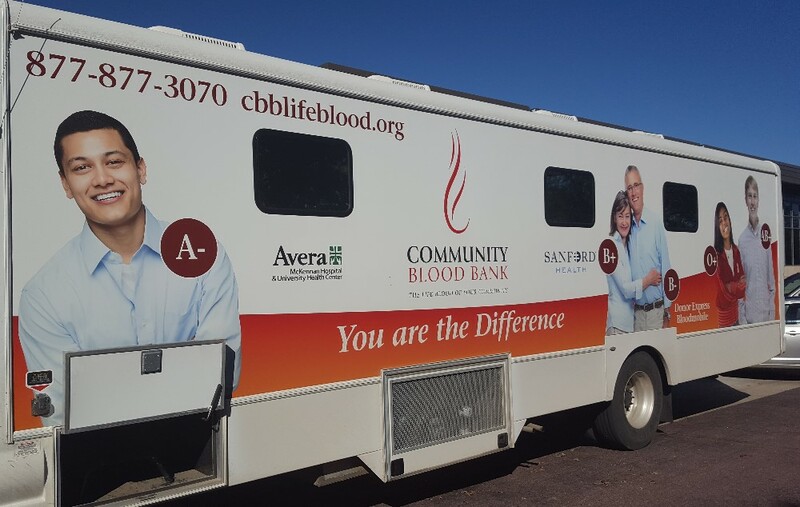 Rock Rapids, Iowa — The Community Blood Bank Bloodmobile will be making a visit Wednesday to one of the high schools in our area. Community Blood Bank Executive Director Ken Versteeg says their Wednesday visit to Central Lyon High School in Rock Rapids is one of their regular stops, and they really need to replenish the blood supply. Versteeg says the current need for blood is high. He says they’re hoping for a really good turnout for Wednesday’s stop in Rock Rapids. Versteeg talks about who is eligible to donate blood. He says you should bring your driver’s license with you, as well. Versteeg reminds us that every drop of blood donated during Wednesday’s blood drive will be used to save local lives. Community Blood Bank is the sole provider of blood products to thirty-four area hospitals. Wednesday’s blood drive will be held from 7:30 am to 3:30 pm at Central Lyon High School in Rock Rapids.